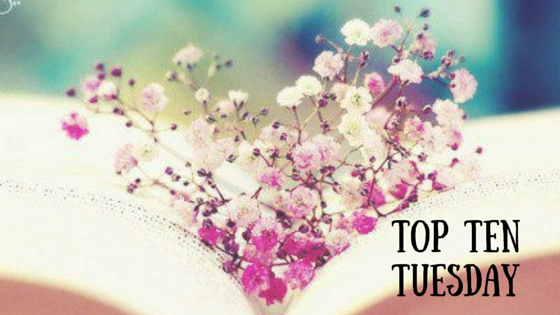 This week’s Top Ten Tuesday, hosted by That Artsy Reader Girl, is: Books to Read By the Pool/At the Beach (This can also serve as your summer TBR). I’m very much a mood reader so I find it hard to stick to a set TBR list, but these are all books I’m hoping to read soon. 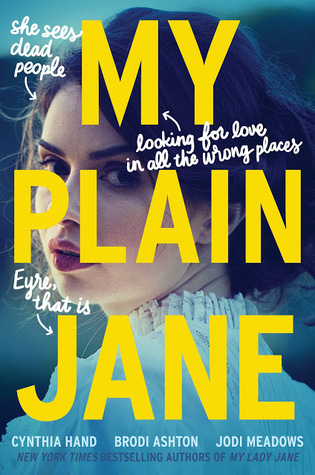 My Plain Jane by the Lady Janies (Cynthia Hand, Brodi Ashton, Jodi Meadows). My Lady Jane was such a surprise hit for me and has become one of my favorite books and I have been looking forward to this one ever since reading it. 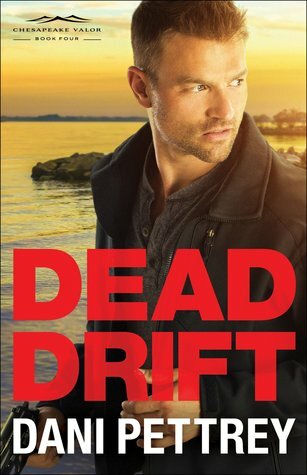 Dead Drift (Chesapeake Valor #4) by Dani Pettrey. This is the last book in this series and I’m really excited for it. 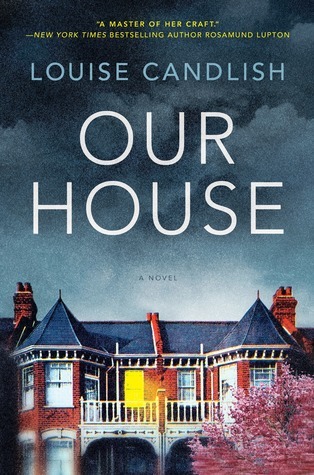 Our House by Louise Candlish. I got approved for this on NetGalley, but I also won a physical copy from a Goodreads Giveaway and I’m really looking forward to it. 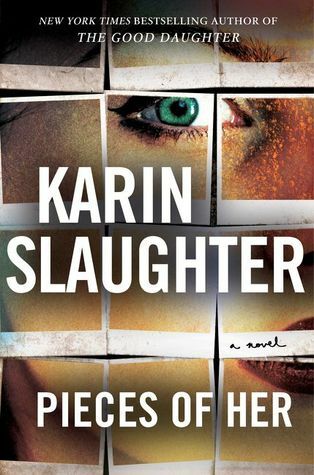 Pieces of Her by Karin Slaughter. Slaughter is one of my favorite authors and I’m sure I will enjoy this just as much as I have her other books. I’m over 100 people on the wait list for this at the library, though, so I don’t know if I’ll even get it this summer, but fingers crossed! 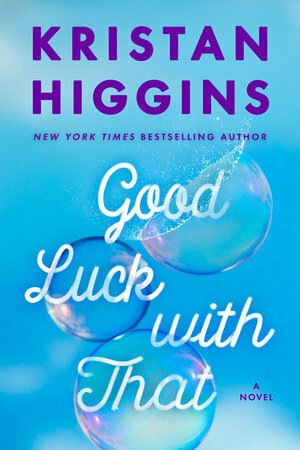 Good Luck with That by Kristan Higgins. I FINALLY got approved for a Kristan Higgins book on NetGalley, but I still haven’t read this yet. I’m really looking forward to starting it soon, though. 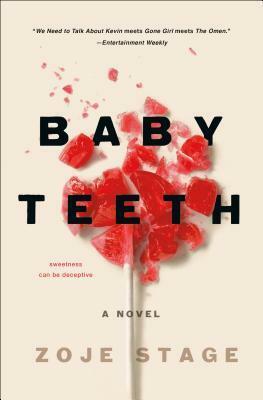 Baby Teeth by Zoje Stage. I’ve been seeing this book everywhere and I’m a little concerned it’s been over-hyped for me, but I’m still looking forward to it. It sounds super creepy – in a fun way. 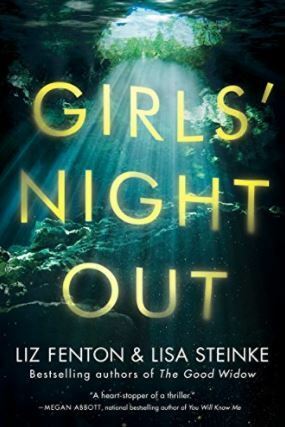 Girl’s Night Out by Liz Fenton and Lisa Steinke. I’ve never read anything by these authors and this one sounds really interesting. Plus, I love that cover! 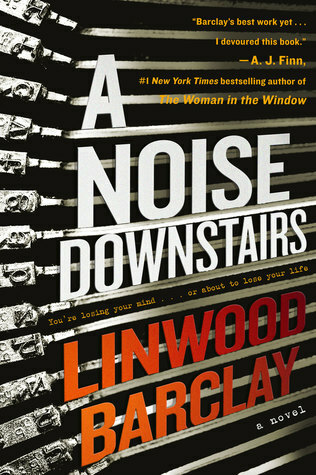 A Noise Downstairs by Linwood Barclay. Barclay is one of my favorite authors and I’m so excited for this one. I am also planning on seeing him when he’s in the area in July with my book buddy, Amanda! 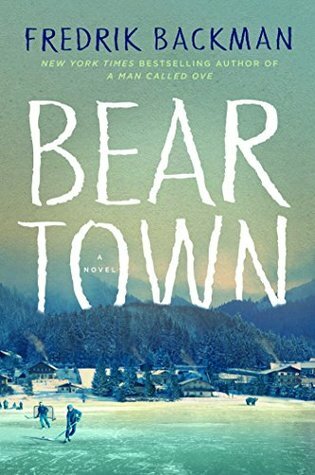 Beartown (Beartown #1) by Fredrik Backman. I hear such amazing things about Backman, but I was never really sure of his books. However, Brandie from Running on Words and Wine recently read and loved this one and she let me borrow it, so I’m looking forward to finally giving him a try! 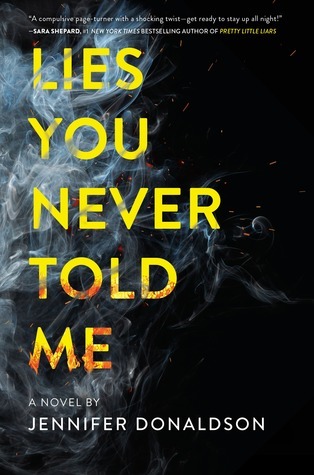 Lies You Never Told Me by Jennifer Donaldson. I’ve seen some really great reviews on this one and I am next in line for it at the library! What books are on your Summer TBR? Do we have any in common? I’ve told you how insanely jealous I am that you were approved for the new Higgins book. I preordered it and will be reading it the minute it hits my porch!! I really hope you enjoy Beartown. It’s different, but really good. I absolutely LOVE the cover of Our House. Any book with a creepy house cover is my favorite. I hope that’s a good one. I think I requested it on Netgalley but haven’t been approved. Can’t wait to see what you think of it! I am looking forward to both the Higgins book and Beartown. I want to wait until I’m in the right mood for them, though. If you didn’t get Our House on NetGalley, you can borrow my hard copy the next time we meet up! That would be awesome, thank you!! I got approved for Our House last night! Can’t wait to read it. I have actually started Baby Teeth and while it took me awhile to get into, I’m kind of enjoying it now. I wouldn’t suggest reading Dead Drift without reading the other books in the series. I mean, you could because each book focuses on a different couple of characters, but it still encompasses a whole group of people and I think it’s easier to get a handle on them if you meet them at the beginning. I hope you do enjoy Baby Teeth, it was certainly memorable! Do you have Lies You Never Told Me? I could mail it to you, if you don’t. Oooh #2 I’m jealous! I am hopeful that my copy will come sooner rather than later. I was #45 of 7 copies on a book that came out today and I got an e-mail that my hold was available, so I’m really not sure how that worked out haha. It is a weird system isn’t it?! I’ve had that happen before too. These are all on my TBR too, I’m so excited to read them all! Me too! I hope we both enjoy them! I didn’t list it, but I do want to read My Plain Jane as well. Here’s hoping it’s just as fun as My Lady Jane! Happy reading. Thanks! I hope it’s just as good, too. I have pretty sky high expectations for it! Is Dead Drift actually out already, or did you get it as an ARC? I’m also excited to see how that series wraps up!! It comes out in July. I haven’t been approved for an ARC yet, so I’m thinking that I probably won’t (which is kind of weird to me because I’ve been approved for every other one of her books). It’s not available for request at my library yet, either. Bethany House is the only publisher whose ARCs I request sometimes, and I’ve been part of their blogger program for a few years. But apparently they are changing the whole program, and it may be affecting their Netgalley program, too. Anyway, I may just have to get this one the old-fashioned way… after it’s published!! I hadn’t heard that about Bethany House. I wasn’t in their program, but I’ve always been approved on Netgalley. This is sad news. But you’re right, there is always the library (or bookstore, but let’s be real). It’s super possible that once they get their new program underway, they’ll go back to approving random people on Netgalley as well. If you go to Bethany House’s website, they still have the link for their reviewer program. I pretty much only enjoy the thriller/mystery type of books, rather than the “historical romances” that they seem to have so many of… those seem to be invariably dreadful. I used to love Julie Klassen’s books (historical romance and often times some mystery, too), but I’m not sure if she still publishes through Bethany House? The last few books I read by her I wasn’t super impressed by, though, so I haven’t read her most recent ones. I’ll check out their website, though. Thanks! I am 50 pages into Beartown and I am liking it so far. I am excited for Dead Drift also. I also have Kasie West’s latest which I can’t wait to start. I’m glad to hear you’re enjoying Beartown. I haven’t started it yet, but hopefully soon! I hope Dead Drift lives up to expectations. And I really hope you enjoy the Kasie West book! I thought it was cute.